Drawing inspiration from nature, the streamlined shape manages airflow over the top, sides and even under the vehicle for maximum efficiency. Unique Full LED Headlights provide exceptional visibility and an unforgettable light signature that is unlike anything else on the road, day or night. 18-Inch Alloy Wheels feature an aerodynamic design for performance and brake cooling, and specially designed tires provide optimal performance and efficiency. A quiet and powerful electric motor features 221 lb-ft of torque for instant acceleration. Switch to Sport Mode to plus up driving excitement. Clarity Electric offers plenty of range for daily commutes, and there are thousands of EV charging stations throughout California and Oregon to help extend that range even further. Find them with the HondaLink® app and PlugShare. Clear LED Taillights give the Clarity Electric a lighter, brighter appearance on the road toward a zero-emissions tomorrow. 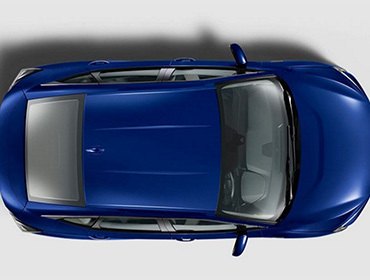 The roof is seamlessly laser-welded to provide a clean, sophisticated look while greatly improving body strength. Apple CarPlay™ is a great way to use your iPhone® in your new Clarity Fuel Cell. Get seamless access to directions, texts, voice commands and your music. 80% of the interior is made from eco-conscious materials like leather and ultra-suede created through recycling technology, for a premium, environmentally conscious interior. The Dual-Zone Automatic Climate Control System lets the driver and front passenger control their comfort independently. Bluetooth® HandsFreeLink® makes it easy to make and receive phone calls with your eyes on the road and your hands on the wheel. The generous trunk space and 60/40 Split Folding Rear Seats of the Clarity Electric give you room for gear, groceries or whatever else you need for the day or a quick trip. Because of strategic placement of the batteries, Honda engineers were able to design a trunk that offers a roomy 14.3 cu. ft. of space. An intuitive 8-inch Display Audio Touch-Screen combined with an 8-speaker system deliver a rich visual and audio experience. Ultra-High-Strength Steel throughout the chassis includes ACE™ Body Structure in the front end to help provide enhanced crash protection. The driver interface features easy-to-read information, including battery status. Also displayed are four levels of regenerative braking, which is controlled by the deceleration selectors. 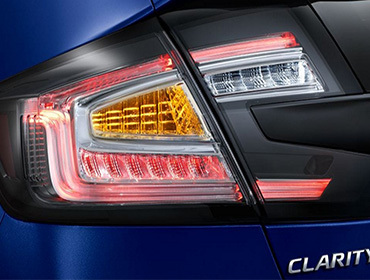 Clarity Electric comes standard with Honda Sensing®, an intelligent suite of safety and driver-assistive technologies that help you stay aware on the road and could even help avoid a collision. Key features include: Collision Mitigation Braking System™(CMBS™), Road Departure Mitigation System (RDM), Adaptive Cruise Control (ACC), and Lane Keep Assist System (LKAS). 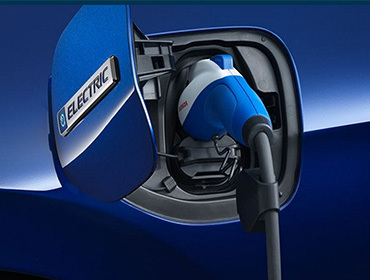 With the HondaLink® app, you can pre-set your cabin temperature, set a charge timer, check battery charge status, estimate driving range and find nearby EV stations, all remotely using your smartphone. MSRP excluding tax, license, registration, $820.00 destination charge and options. Dealer prices may vary. 28 city/36 highway/ 31 combined mpg rating for 5MT models. 30 city/39 highway/33 combined mpg rating for LX CVT model. 29 city/38 highway/33 combined mpg rating for EX and EX-L CVT model. Based on 2015 EPA mileage ratings. Use for comparison purposes only. Your mileage will vary depending on how you drive and maintain your vehicle.